Get ready to Level Up with Rising Ape at Green Man 2019! 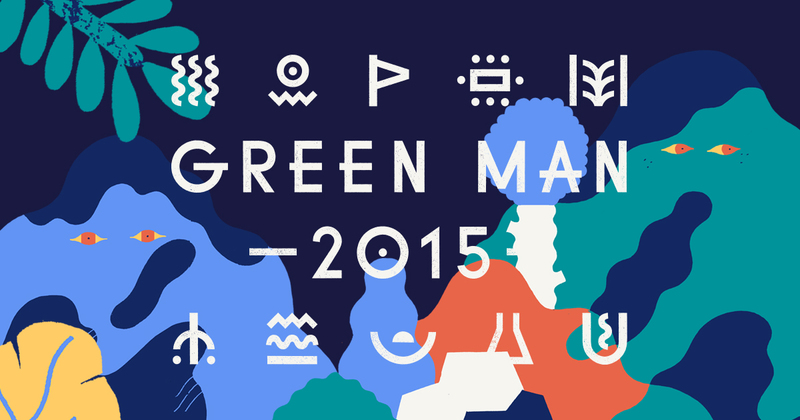 We’re proud and excited to announce that we’re heading back to Einstein’s Garden at Green Man Festival this August. 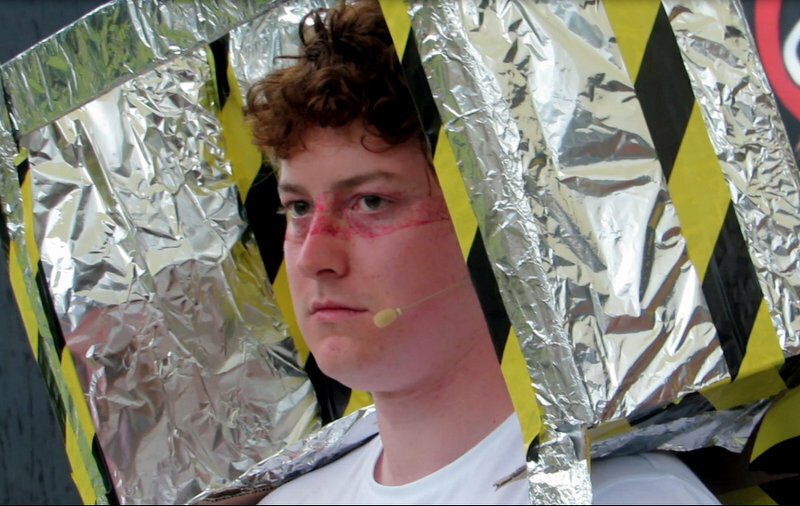 In this most beautiful of Welsh valleys, we’ll be presenting Publish or Perish: Level Up, a semi-improvised mashup of choose-your-own-adventure, science satire and video game theatre. The next evolution of our successful Publish or Perish format, this show will once again see a whole audience take control of a young researcher. Together, they’ll try make it through the strangest, most stressful day of their life (helped by an all-knowing game master) with the ultimate goal of hunting down the mythical “permanent full time position”. I loved being able to vote on the outcomes and the actors’ amazing ability to make things up on the spot. 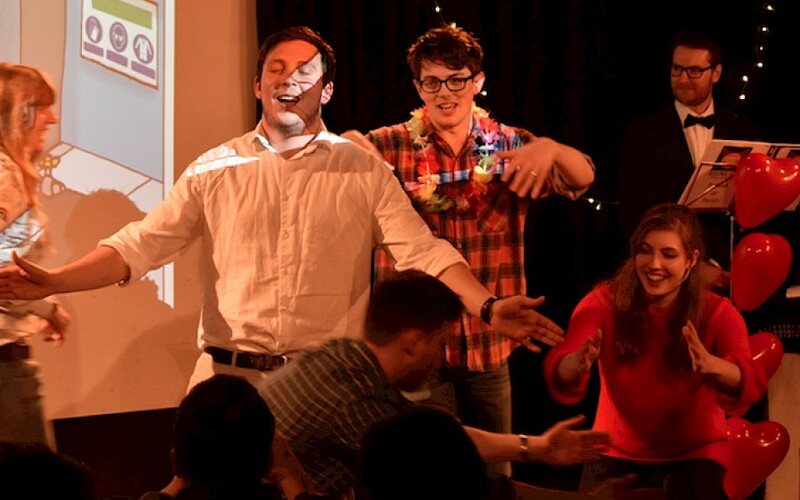 I’ve never laughed so much for so long… (the show) really brought an audience of strangers together in a way that I didn’t think was possible! Get your tickets now for Green Man Festival, 15-18 August 2019. 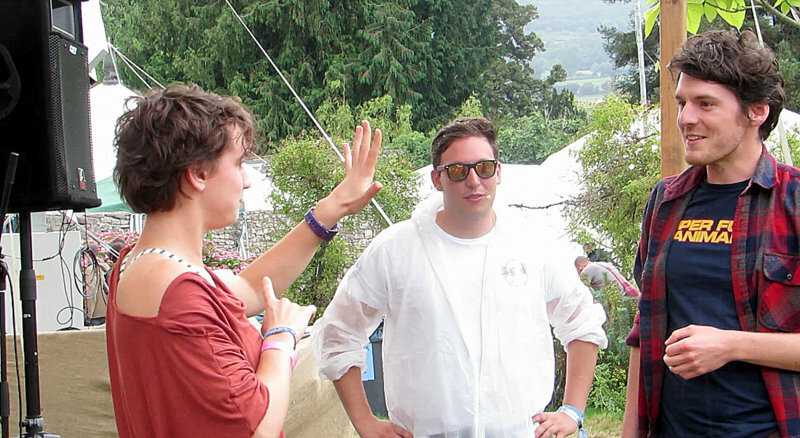 Last month, Rising Ape took Your Choice: The Game to a field in the heart of Green Man Festival as part of the famous Einstein’s Garden, an area of the fest dedicated to exploring science, nature and other wild ideas. We all know that one person who gets all the best cards. It’s a team game, mate, just saying. Each day, at 2.30pm sharp, makeshift cancer research groups sat down in the Garden’s workshop dome to play the board game element of Your Choice and got to grips with choosing the direction of their research. More than 60 people get involved over the weekend, working together in their teams to make the most of their resources, beat cancer sooner and get to the top of the scoreboard. In the end, Team Maroon and Green won the comp by a single point (!) to win the prizes on offer. A representative from Team Maroon and Green accepts a prize more valuable than a Rio Gold Medal. Before starting the weekend, we had some questions about whether Your Choice would work as a purely facilitated game, without the powerful monologue performances… And at a music festival. These questions were answered and, what’s more, we learned some new things about the game. Question 1: Who would play it? Here was our first surprise: The audience was much more diverse than we expected, and the game worked well for everyone! We had teams of children, families, couples, people likely under the influence of some interesting substances… The most pleasant surprise was that children as young as 12 were really grasping the idea of how to play and we had a few younger than that who were into the dice rolling and gem spending. It got very competitive. And while we thought people with a relationship with cancer research would be interested, in fact most of the teams we spoke to had little or no previous knowledge of cancer or cancer research. We got people involved by setting up an example board at the front of the workshop dome next to the high score board, and asked anyone who stopped for a moment if they wanted to play a game. It’s hard to resist the lure of a crisp deck of cards and a pile of shiny gems. Question 2: Would people stick around? Yes. All the teams playing the game were fully engaged for the whole forty minutes of play time. Although there was an option to leave after the first 20 minute section, everyone wanted to carry on and finish the second section. This meant some teams were engaged with the activity for nearly an hour solid, even with all the distractions available at a music festival! It was commented on by Einsteins Garden staff that it was unusual to see people stay for so long in the workshop dome and it’s great to see that, as hoped, the game can hold attention without the monologue breaks. Question 3: How would people deal with the theme? There were several moments in games where people, parents mainly, talked to the rest of their team about the types of cancer that had occurred in their family and it was nice to see these conversations happen naturally through playing. The leaderboard on Day 1. By the end all these scores would be crushed. And there was more food for thought. Interestingly, we had several questions about whether it was possible to buy the game at the festival, and a teacher said they would love to get hold of it for their biology class. Making the game available to a wider audience is something we will definitely be interested in exploring with CRUK. 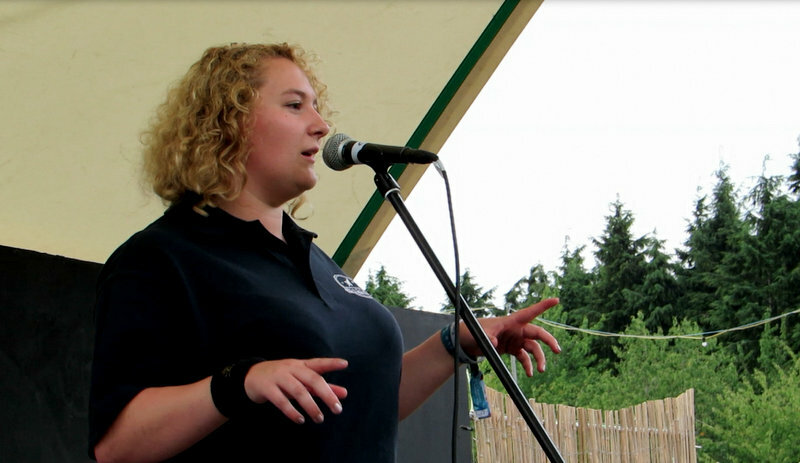 So engaging music lovers with cancer research in a wet Welsh field? Check! Thanks to everyone who made the weekend possible, especially Will, Maddy of Einstein’s Garden and the workshop dome volunteers. We look forward to the next outing for Your Choice. Could it be in your area? Running our events, sometimes you know how things will go and sometimes you just have to trust it will work. Sometimes you’ll even be surprised. Running our events in a field at a music festival? You’re guaranteed all three possibilities. The Rising Ape team took two different interactive events to Einstein’s Garden, the magical centre of Green Man Festival, and both delivered heaps of expected and unexpected outcomes. After last year’s first foray, we really wanted to step up and push what we could offer the good festival goers of Green Man. Without too much modesty, and mainly thanks to those same excellent punters, the weekend surpassed those (un)expectations! What on future Earth is going on here? And Your Choice came along for the ride as well. Our team-based experience themed on cancer research, and developed with CRUK, was transferred to a completely new style of venue, a giant dome, where it ran as a daily gaming session. It was fantastic to see the game engaging people from all ages and backgrounds over the weekend, with players taking on their different roles within research groups and being totally focused on working together to beat cancer sooner. Read more on what we learned about Your Choice here. We really want to thank Will, Maddy, Ellen who organise Einstein’s Garden, and everyone else, sound deskers, workshop assistants, who helped us produce the events to their full potential. We look forward to working with you again next year! Woop woop! The Rising Ape is waving his favourite mango around his head which means, if we consult our English to Ape dictionary, that he is returning to Einstein’s Garden at Green Man Festival for a second year! Hooray! What’s he doing now? Oh dear, well that’s not very mature at all. Naughty Ape. Although, apparently, those gestures do translate into the fantastic news that there will be TWO Rising Ape events at the festival this year, so even more hooray! Yes, there’ll be two different Rising Ape experiences in the Garden for 2016: The fast-paced excitement of Your Choice: The Game, and the mysterious immersive theatre of The Audience (Oooooooooh). Located right in the beating heart of the Festival, Einstein’s Garden is the arena of choice for those seeking weird, unlikely and downright indescribable encounters with science, scientists and people dressed up as robots claiming to be scientists. A research group makes their first moves. Have they made the right choices? We’re proud to be bringing two of our most progressive events yet to this special place. Stop by the workshop dome everyday to play Your Choice: The Game and try to beat the high scores of other teams of role playing cancer researchers. Would you accept an invitation to a festival from this guy? Then make sure to RSVP for your invite to The Audience in the Omni Tent, the theatre show where you and your fellow humans will get to prove what you can do together in the potential present of our future… With glowsticks. More on that pretentious nonsense soon, promise. Such fun at the fest! 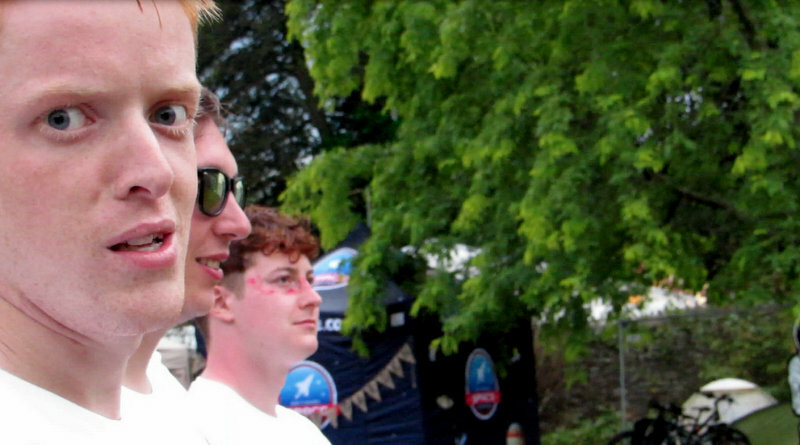 All in all, it promises to be a very special weekend of music, mayhem and maybe even maths? Head here for more info on the Rising Ape shows, and all the other wonderous acts and events taking place between 18-22 August at the best festival in the country located deep in the Brecon Beacons, just past Crickhowell, where they burn a huge green man effigy on the final night and Charlotte Church is running the karaoke. Hope to see you there (especially in the karaoke)! We made it back. Thanks to the Rising Ape Space Agency we have returned from Mars and finished our thorough debrief with the professional medical staff here at RASA Mission Control in Bristol. But the memories of our time with you Martian colonists will stay with us, at least until the same time next year. In total eight teams signed up to compete in the first ever gameshow held on Mars, including Superstars, Team Uranus, Space Oddity, and Team Placenta. The prize? A luxury hamper containing precious bonus rations of ice-cream (freeze dried), a foil blanket for the cold Martian night, and an extra regulation RASA crew t-shirt. The be-tophatted host, James Riley, introduced his two android helpers, A-TON and E-STEL, and the serenest super computer this side of Orion, DAVIDBOT 3000, and then the games were afoot. Unfortunately, due to unforeseen circumstances, Ash, our engineer, and a veteran of a simulated Mars mission who helped us devise the rounds was unable to attend the festival at the last moment. Understandably, these sorts of things can happen in space missions, and it gave us an opportunity to practice an important skill for all astronauts to have: improvisation. Into the breach stepped Zoe of the National Space Centre, who with minimal (read: no) rehearsal delivered three motivating speeches throughout the show on the importance of Teamwork, Communication and Psychological Understanding to a successful space mission. You colonists made our guest very welcome and there were loud cheers for her inspiring words. Round 1 was all about Teamwork. It saw two teams race against the clock to navigate a giant exposed wire that formed part of the hab’s airlock system. A steady hand and excellent coordination between team members was required to succeed. Amazingly, both teams completed the challenge in the time allowed, but due to touching less exposed wires, Team Uranus made it through to the final. In the second round, Communication, two teams engaged in a Charades-off based around various space-related titles in pop culture. Incredibly this proved even more difficult than on a Christmas evening after too many sherries when your nan has to act out Shawshank Redemption. Perhaps the pressure of the crowd, or the weight of the potential prize was weighing on the colonist’s minds, but in the end Space Oddity qualified despite only getting two film titles correct! Special mention must be made for their rivals, Team Placenta, who managed to describe Men are from Mars, Women are from Venus for their only correct answer. using only frantic pointing. The colony administration salutes your dedication! For the third qualification round, the teams had to guess the most popular answers to the Colony-wide survey that was distributed shortly before the weekend. The Colony Administration would like to thank all who volunteered their personal psychological data, and to let those who selected ‘Lighthouse Family – Lost in Space’ know that they are being closely monitored. In an extremely tense round, the young whippersnappers of Superstars came from behind to steal the win from Team Uranus, after correctly deciding that most Colonists would want to call their parents for their annual phonecall (aww, you softies). Full results of the survey will be available soon for those who really want to know what the Colony’s favourite ice-cream (freeze dried) flavour is. Hint: it’s not ‘Chorizo’. And so the final round was upon us. At this point the downpour was really trying to make sure everyone believed there was liquid H20 on Mars which will have come as welcome news to those early 21st Century rovers that we saw gathering dust out on the plains. The three qualified teams remained resolute and threw themselves into the final challenge. Tasked with carrying multiple radioactive pellets all the way around Einstein’s Garden, using only a custom made hand-held safety transporter, which only looked a bit like a big spoon covered in foil and hazard tape, before throwing them into the Colony furnace from a safe distance to save the habitat’s rapidly shutting down life-support system…. Well, let’s just say they nailed it. In the end, Team Uranus emerged victorious, out throwing the others by some margin, and claiming the extra rations as their prize. Like true Colony comrades they immediately shared the spoils with the remaining teams, in a scene which nearly, nearly brought a virtual tear to DAVIDBOT 3000’s stoic pixels. As if in awe of what it had just witnessed, at this point the rain finally stopped. We’d like to thank Maddy for letting us on the Solar Stage for this escapade, Jen and the crew of Einstein’s Garden for solving our problems and making us feel so welcome, Ash and Zoe for their contributions to the show and, most of all, the eight teams of brave colonists who stuck it out through the deluge and competed with such admirable gusto. The future of Martian colonies looks safe in your hands. And so, as the lights of the vast domed Green Man festival habitat went down, we tidied away the set and DAVIDBOT 3000, before celebrating the success of the first ever gameshow on Mars by dancing around to some very fine musical acts. 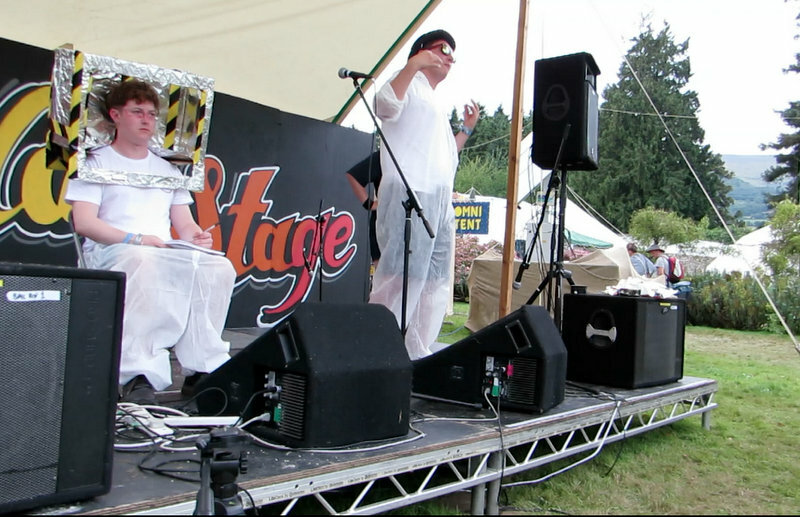 Circulating rumours of the white suited RASA team being repeatedly mistaken for the band Super Furry Animals and engaging in 5am sing-alongs with Charlotte Church can be neither confirmed, nor denied…. Ladies and Gentlemen, Boys and Girls, other Unidentified Life Forms of every gender dimension. The Rising Ape Space Agency is gearing up for its second trip to the Red Planet, this time with our friends at the legendary Einstein’s Garden of Green Man Festival, 20-23 August! So come down to the Festival Habitat Module, or ‘Solar Stage’, on Saturday 21st August with the rest of your plucky team. You’ll need to prove yourselves up to the task of settling Mars on a gameshow for the whole crowd that’s so out of this world, it’s made it to the next! Fresh off the rocket is our newest recruit and resident Mars expert, Ashley Dove-Jay, a space engineer (best job title ever!). Ash’s work is wide-ranging. In the last year he has developed radiation mitigation strategies for astronauts in deep-space with Inspiration Mars; advised senior NASA figures on strategies for protecting civilisation from the effects of a solar super-storm; written several papers for his Ph.D. regarding the development of future ‘green’ aircraft morphing wing technologies; and has conducted a solo-hiking expedition through the high-arctic archipelago of Svalbard, conducting biological research on floral pollinators. Phew, we hope he has some energy left by August. He has also commanded a two-week long simulated Mars mission in Utah. This experience should stand him in good stead for what lies in store after joining our new Life on Mars! 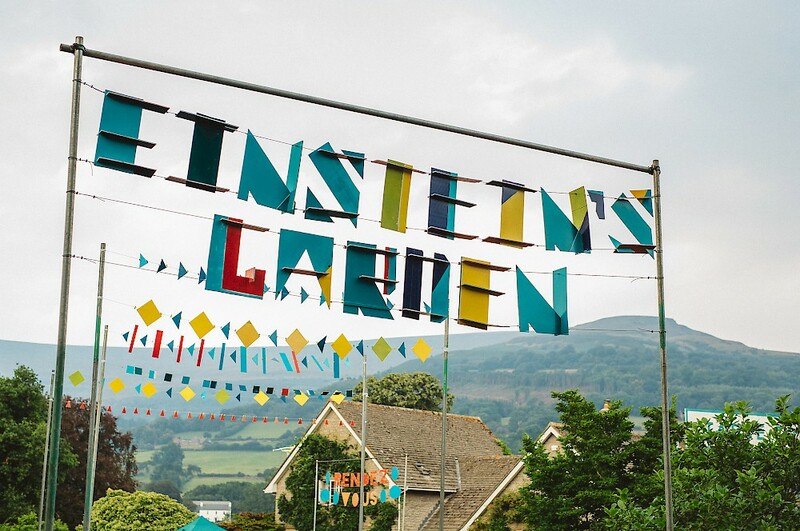 Einstein’s Garden is an essential, cherished part of Green Man Festival, where you can explore the far flung reaches of your imagination with over 100 jaw-dropping performances, from live comedy, music and theatre to walks, talks and interactive installations – all set across three sustainably powered stages. Nestled among the leafy arbors and fragrant rosebeds at the heart of the beautiful Green Man site, Einstein’s Garden is the perfect place to cultivate your curiosity and indulge your creative passions. 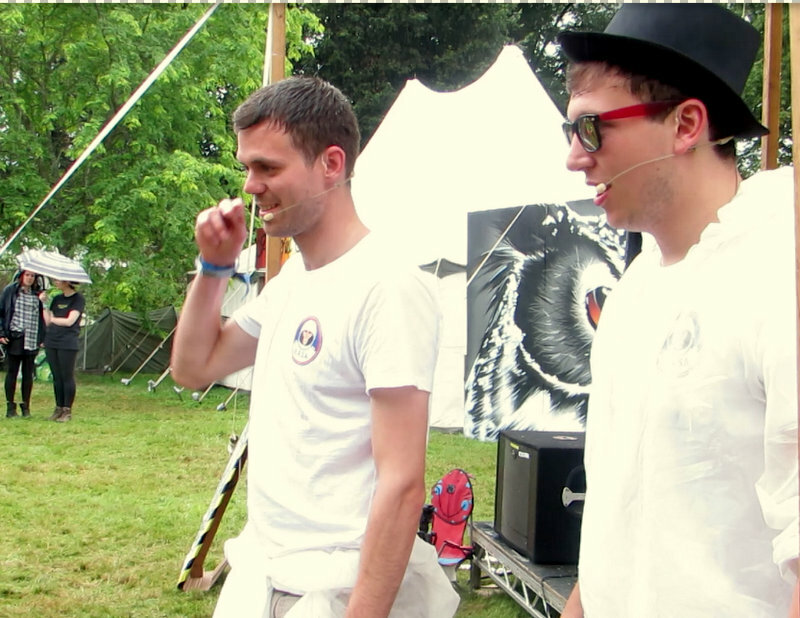 You won’t find anything quite like it at any other UK festival! Read more about the Einstein’s Garden lineup. 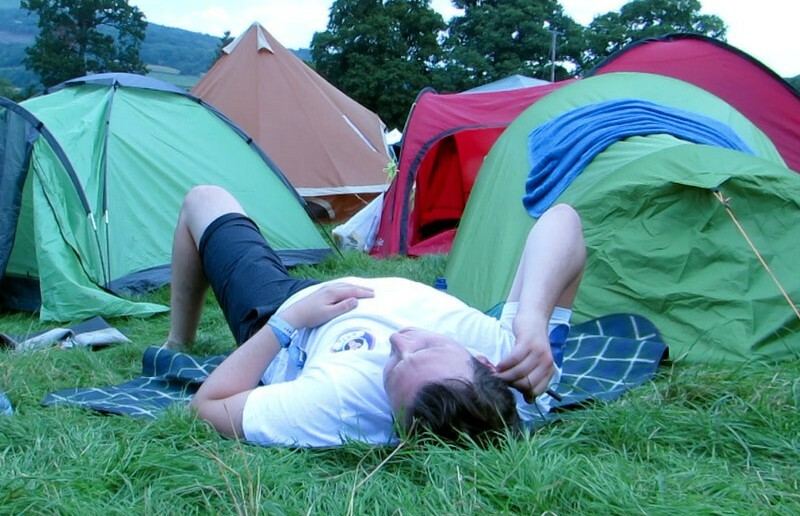 Buy tickets for Green Man Festival.